Losing a dog can be just as painful and devastating as losing a beloved human family member or friend. Many of us go through the exact same grief process as we would with the loss of a human loved one. There are many constructive, positive ways to deal with your grief. 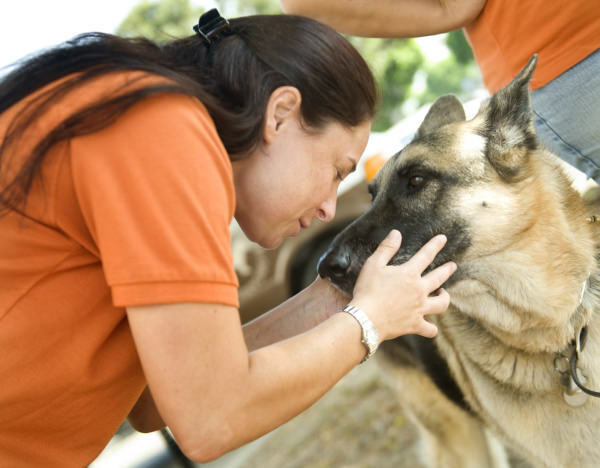 Memorializing and celebrating the life of a deceased pet can help those who have experienced loss cope with the effects of grief. Whether you’ve lost your pet or someone you care about has lost a dear furry companion, these 3 wonderful ways to remember a dog no longer with us are sure to bring warmth and comfort. When a dog crosses the rainbow bridge, at times it can be hard to look at photographs of your dog while at other times it may be the only thing you want to do. Having a beautiful portrait created of your dog can be a great way to ease the pain. A portrait capturing your dog’s incredible personality can bring back all the lovely memories. Our Pawp Shop custom portraits are the perfect way to memorialize a beloved pet that’s no longer here. Volunteering at your local animal shelter or with a rescue group can help you not only beat the depression associated with grief (it’s perfectly normal to feel depressed after the lost off a pet) by getting up and out of the house, but also can be a way to pay tribute to your dog’s memory by helping other dogs in his or her name. It can be a good way to cope with the intense feelings and turn them into something beautiful and productive that gives back. Contributing in any way can help turn a dog’s life into one just as happy as the life your cherished dog led! Some pawrents say they often feel like their dog is just behind them after they’ve passed on. The feeling of their presence can be comforting after the loss. One way to symbolically keep your dog’s memory with you at all times is through a piece of jewelry purchased in memory of your dog. 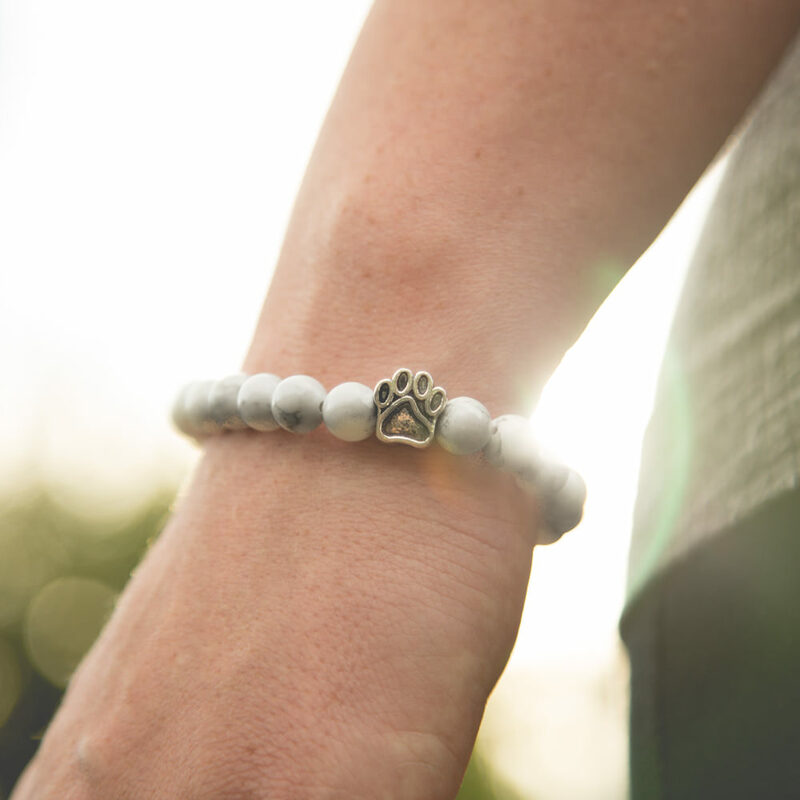 This lovely bracelet does exactly that and even provides enough meals to feed the dogs of a small shelter in honor of your pup’s life. It can be a difficult journey, adapting to life without a beloved pet but hopefully these items help you turn the pain into bittersweet fond memories of your dog and acknowledgment of a life well-lived.